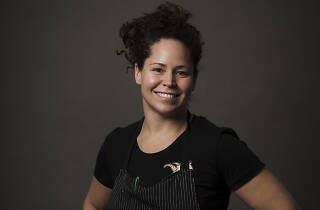 Chicago chef Stephanie Izard is making moves once again, this time with a Peruvian rooftop restaurant in Fulton Market. The forthcoming eatery, named Cabra, is slated to debut inside The Hoxton hotel this spring, as first reported by Eater Chicago. Cabra is Izard's fourth restaurant in the city, joining Girl & the Goat, Little Goat and Duck Duck Goat. 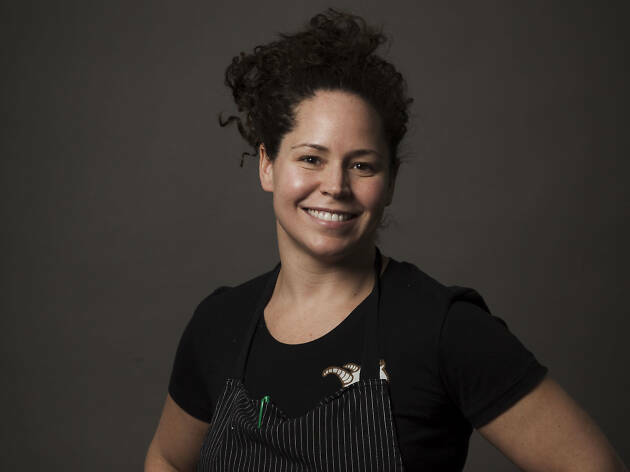 It's not her only project at the moment: The Top Chef winner recently announced that she'll turn the space above Little Goat into a rotating pop-up restaurant called Tiny Goat. Oh, and she's bringing Girl & the Goat to Los Angeles in 2019. Though the details are still scarce, here's what we know about Izard's foray into Peruvian cuisine at Cabra. 1. The name translates to "goat" in Spanish—naturally. Izard owns a herd of restaurants that include the word "goat," so it's only appropriate that the new spot pays homage to the existing culinary empire. There's no word yet on whether or not Cabra will offer goat-based dishes, but given the fact that all of Izard's spots feature goat meat on the menu, it seems likely. 2. It's located in the epicenter of Fulton Market. Cabra is situated on the rooftop of the Hoxton, a 182-room hotel opening this year at 200 North Green Street in the West Loop. It's around the corner from The Publican and Duck Duck Goat and just across the street from Momotaro. In other words: premium real estate. 4. Expect international flavors. In that same media release, the Chicago chef noted that one thing she loves about Peruvian food is the fact that it “draws on such an interesting variety of culinary influences, from Japan and China to Spain and Italy.” We're hoping to see some border-pushing dishes on this menu. 5. Did we mention the rooftop? And that it's scheduled to open this spring? We're willing to bet that Cabra will be one of the hottest rooftop restaurants of the season. 6. It's a BOKA joint. Just like she did with Girl & the Goat, Duck Duck Goat and Little Goat, Izard will partner with Kevin Boehm and Rob Katz of BOKA Restaurant Group to open Cabra. This will be the group's ninth restaurant (and counting) in the West Loop.